At Ceramtech Coatings, we offer a complete line of specialty performance coatings. These coatings are application-specific and cover a wide range of applications, including motorsports, restoration, marine, motorcyle, industrial, etc. 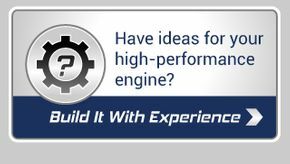 At our Richmond Hill location since 1977 and in the high-performance engine business since 1973, the Competition Automotive team has the skill, knowledge and technology to help you formulate a plan to achieve your goals. All work is done start-to-finish in our high-performance machine shop. You are invited to call for advice, send us an email at support@competitionautomotive.com with your questions, or make an appointment to drop by and see the shop. Competition Automotive serves Richmond Hill, Toronto and surrounding areas, and will ship to destinations across Canada.